The detoxifying effect of a brine bath can be compared to a 3-day fast. Since salt is also a disinfectant, several people can safely use the same water. 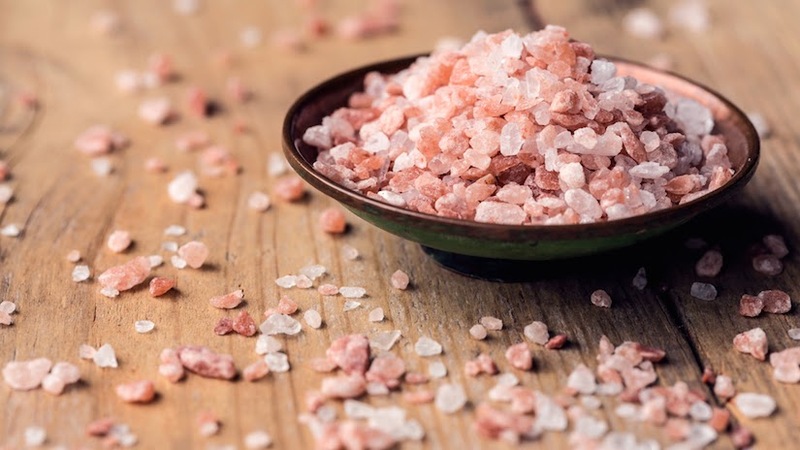 To get the full benefits of a therapeutic natural crystal salt bath, the right salt concentration is critical. The salt concentration has to be at least the same as the one of your body fluids (approximately 1%) to activate the osmotic exchange ratio. The formula for a 1% solution is 1.28 ounces of salt per gallon of water. Since a full tub normally takes from 100 to 120 liters (27 - 32 gallons) of water, at least 1.2 kg. (2.6 pounds) of natural salt is required. To avoid using body energy to balance the temperature, the water should be approximately 37° Celsius (97° Fahrenheit). Your bath will remain at a constant temperature because the biophysical composition of the salt is so strong - it causes the molecules to move in a constant rhythm. Do not use any bath additives, soaps, or oils. Your bath should last 20 to 30 minutes. During this time, the temperature and the makeup of the brine bath is comparable to the amniotic fluid in which the embryo floats in the prenatal state. Do not shower off, simply dry off with a towel. After your brine bath, you should rest for at least 30 minutes. WARNING: While brine baths have a positive effect on many ailments, they are also demanding on your circulatory system. If you suffer from weak or poor heart circulation, always consult your doctor first. Loosely fill a closable glass container (Mason jar) with several crystal salt stones. Add natural spring water or purified water, completely filling the container. After approximately 24 hours, look to see if the salt crystals have completely dissolved. If so, add a few more crystals. When the water can no longer dissolve any more salt, the salt crystals will sit at the bottom of the jar without dissolving. At this point the solution will have become saturated at 26%, and is ready for use. The glass can be refilled again and again with water and salt, continuing this process. This brine solution is completely sterile and germ-free allowing it to be stored for years in a closed glass container without changing or decomposing. There are many ways to directly experience the natural medicinal potency of brine including drinking it and seasoning your favorite foods with it, bathing in the brine solution, and inhaling steam from brine. You can also use the Himalayan Crystal Salt to substitute for cooking salt, but it should not be heated over 42º Celsius. Acne - Try a brine face wash, or the Himalayan Crystal Salt mixed with fragrance free, natural soap as a face or body scrub. Ear Infections- Use the brine as eardrops for ear infection. Foot Fungus- Soothe your feet with a brine foot soak. Motion Sickness - Try wearing salt in a pouch around your neck for its energetic balancing properties. Nasal Congestion - Try a nasal wash with a few grains of crystal salt in ¼ cup of warm water. Psoriasis - Rub brine directly on the affected skin and let dry. Sore Throats - Gargle with warm brine solution, but don't swallow.